Unhappy with the default angles and restricted rotation at Cursed Abbey Dungeon (Nameless Island)? How many times have you blindly walked into an ambush simply because your view is limited. This edit will remove the restriction on those maps. I have decided to split this Creative Editing Series into two parts: Basic Editing and Advance Editing. The solution to this problem is really a simple one - thus the Basic Editing (no point over complicating matters). However, I am not fully satisfied with the results of the Basic Editing and thus, with a few advance manipulations, it can better cater to each individual's needs. Feel free to edit the list of maps in the viewpointtable.txt. Adding "//" in front of the map name will remove the view restrictions while removing "//" will revert the view settings of the map back to its original. Please note that removing the view restriction does not give a player "Unlimited View", it reverts to a default setting much like Prontera Capital - you can zoom in, zoom out (more), rotate 360 degrees and it comes with a more pleasant starting angle. Before editing with Max Zoom Out - not a lot of zooming and your view is very limited. I dare say it's even less than your normal player's visual field. After editing with Max Zoom Out - look how much more you can see on your screen. It's worth noting that you still can't see monsters beyond your normal players' visual field of 14 cells. How to personalize map views? 1. 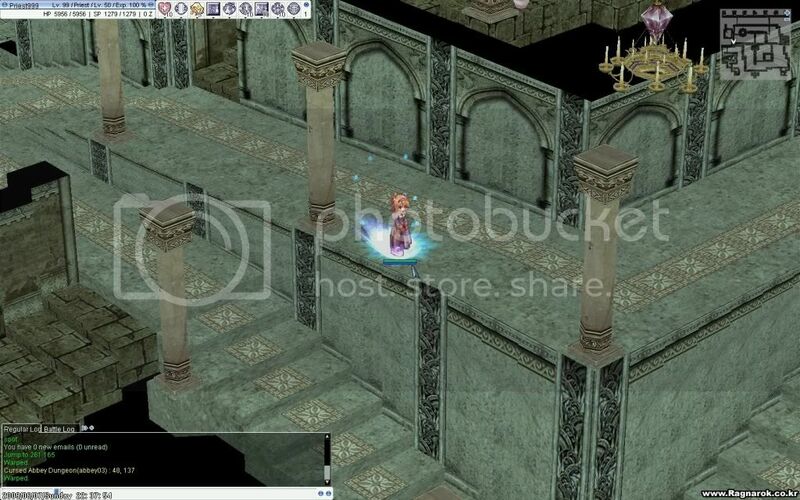 First add the map, say for example prtg_cas05.rsw (Prontera Castle 5 WOE map) inside the viewpointtable.txt. 2. Then fill in the other fields. Below are my recommendations. Basically rotationFrom -360 to 360 allows you to spin the map 360 degrees. Altitude is the min/max angle. While Range and Scope influences the min/max zoom. Remember to include a "#" after each data. After editing - a bigger picture. 4. Thus, instead of just crossing out the name of the maps with "//" as illustrated under Basic Editing, you can just edit the numbers in the respective fields to suit your own liking. What about indoor map views? 2. That should overwrite the default limitation of ALL indoor view. A screenshot showing 360 degrees rotations and more view freedom inside buildings. 1. Is there an easier way? 2. What if your server have their own version of viewpointtable.txt? You should always use the server copy instead of sdata.grf. Just extract it from your custom server's grf and edit it accordingly. I love zooming out <3 Thank you! Thanks. I've always wondered how to edit these things. Sorry for the necro-bump, but I've been having one tiny issue ever since I've used this edit. While now I have normal view in every map, when I double right-click, it doesn't return the view back to the default, normal view anymore. This is a problem for me in WoE, among other things lol. Is there a way to specify the double right clicking to be back to normal with this edit? Bump again, would really appreciate any help with this. Thanks. Did you manage to fix this? Very important for me!